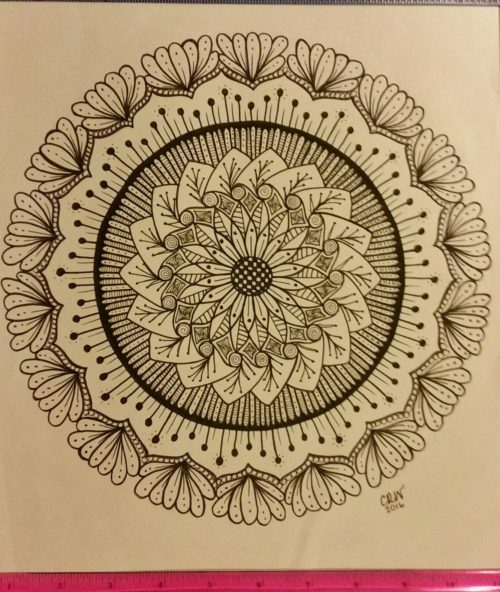 What did my first mandala look like? I remember my first mandala. I wasn’t even trying to make a mandala, I just thought it was pleasing to look at. I toyed around with the different colors and just tried to make it fun. Then someone told me to try for more detail. I just tried different designs until I saw something I liked. As you can see in the first few, They are VERY similar. As I progressed, I started making more details, trying new things. 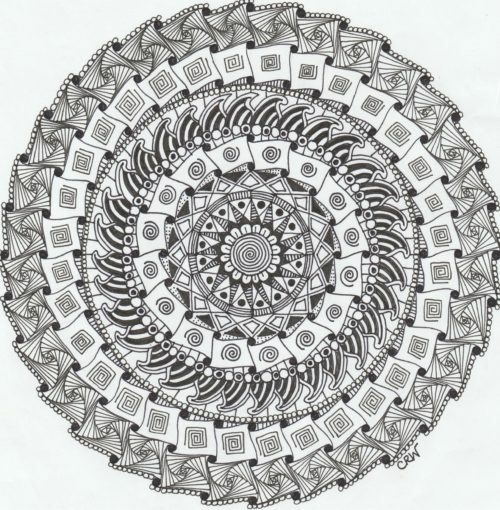 I fell in love with mandalas. 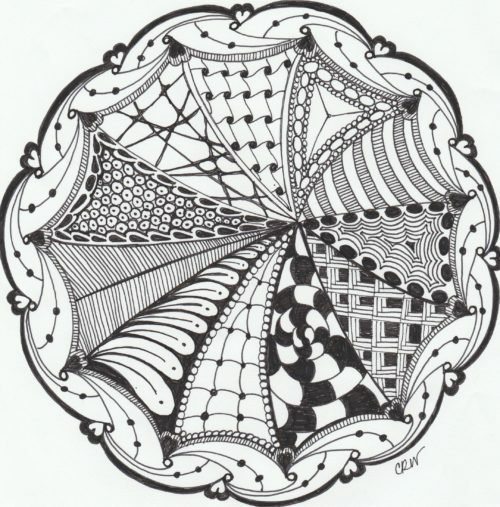 It was here that I was introduced to Zentangle. 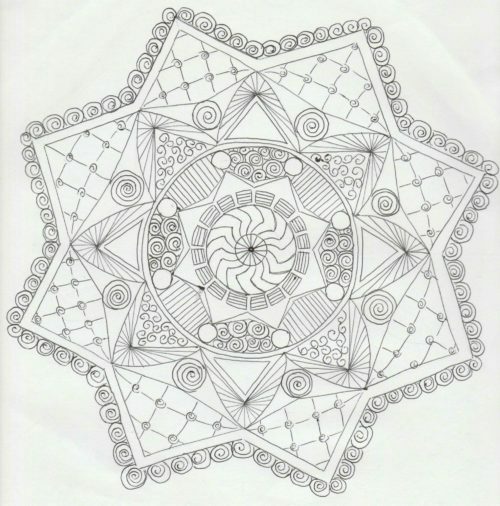 What is zentangle you ask? Well, It is a progression of 3 or fewer strokes that create a pattern. They are very easy strokes that I would venture to say that anyone could follow. 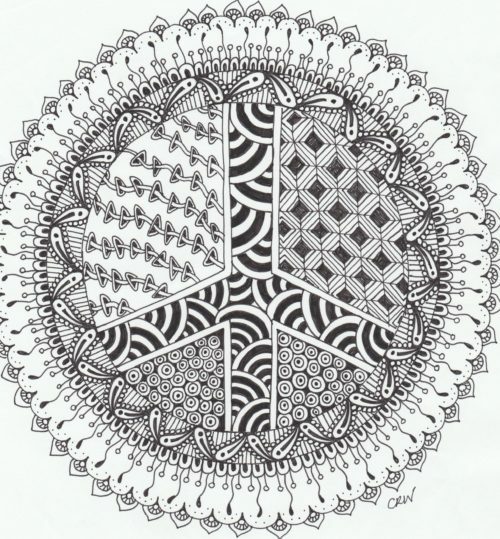 The beauty of zentangle is that there are no mistakes. You just have to keep building, and you would be amazed at what comes out. All of the sudden, I decided to make them permanent. I used a pen, Staedtler pens to be exact. I will say that the one tip or suggestion I would give is that if you think you made a mistake, just continue to make it all the way around. You’d be surprised how many mistakes I made in the following Mandala. And just like that, I was born. I found such relaxation in the patterns and the strokes of my art. I became addicted. I watched YouTube videos galore. and I just went with it. Being the OCD person that I am, I found that it was easy to “fix” my mistakes by following them through. What do you think about these? The patterns are mesmerizing. I have decided any mandala I do, I want to be bigger and more detailed than the last. I want to add new patterns or design my own. I would love any suggestions that you might have on how to make these even better! !